It reads: "Hello. This is A-Man Project. We caused concern to a lot of people because actor Lee Jong Suk's departure was delayed immediately after the Indonesian fan meeting due to the agencies and local promoter yes24's way of handling business. This was our first time experiencing something like this, so we were very startled. Instead of thinking about himself, the actor was very concerned that this may affect his drama's filming schedule. Fortunately, he was able to depart thanks to the help of the Indonesian embassy and he is currently on a flight on his way home. We're currently continuing to look into the cause of this incident, but the agencies and yes24's explanations keep changing. First, we heard that the local representative of yes24 took the actor and staff's passports without any reason and disappeared. A few hours later, the local representative was detained by Indonesian tax authorities because they did not pay taxes. Their explanation changed and they said that the passports of the actor and staff in the local representative’s possession were taken away during this process. A couple of hours later, a local media outlet also reported that yes24 had not applied for a short-term work permit and that a visa issue also occurred because of this. Each and every single thing is so unbelievable that we don’t know what other explanations and excuses they'll come up with next. We plan to respond with firm legal action against the agencies and local promoter who caused this incident through law firm Yulchon (lawyer-in-charge Ahn Jung Hye) and all countermeasures hereafter will be conducted through the law firm. We will only embrace the love and support shown by the local fans. We apologize once again to the drama production company, all of the staff members, and to the public for causing concern. We, the agency and [Lee Jong Suk] will repay the interest and love all of you have shown the actor through more sincere promotions." 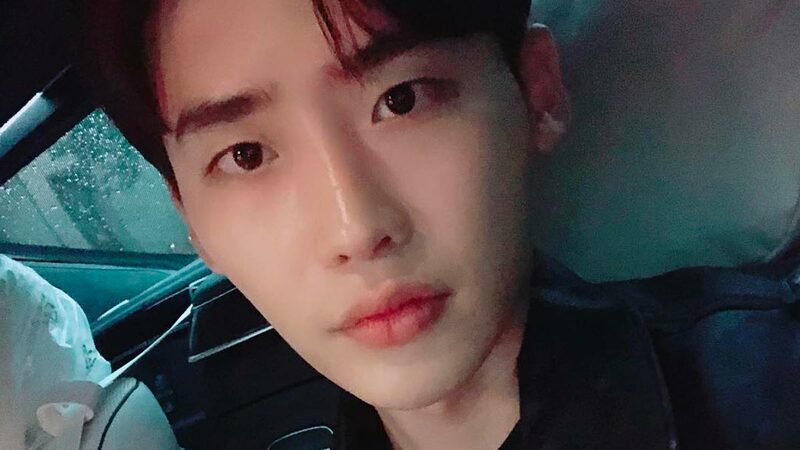 Lee Jong Suk and his team have reportedly been detained in Jakarta, Indonesia. The Korean actor was there to meet his Indonesian fans. On November 5, the Korean actor uploaded a photo taken at the airport and explained, "I was able to end the fan meeting with a thankful heart. But all of my staff and I are stuck in Jakarta. I think we've been detained since yesterday…"
Apparently, the local promoter of his fan meeting, "yes24, had reported lower profits than what they had actually made to the local tax authorities." Jong Suk continued, "Though my staff and I have no involvement in this, they took our passports and have not returned them. I hope that yes24, and their agencies The Cre8tive Lab and Yumetomo resolve things quickly." A source from Jong Suk's agency confirmed the incident: "They were originally supposed to leave Jakarta on November 4. However, a problem arose between the local yes24 branch and the Indonesian authorities. Because [yes24] reported that less tickets were sold than actually were, it became a problem. We believe that the passports were confiscated from the person in charge of them. Today, we are working hard to resolve the problem in Jakarta. Lee Jong Suk is currently in Jakarta. We are in the middle of adjusting his schedule as there are issues with his immediate drama filming as well other schedules."